This entry was posted on Friday, July 27th, 2018 at 4:26 am. You can follow any responses to this entry through the RSS 2.0 feed. Both comments and pings are currently closed. I’m planning to attend the 2019 Worldcon in Ireland; here’s hoping it’ll be less, uh, exciting, in that respect. 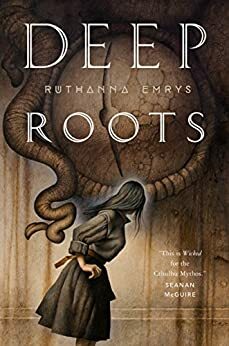 Also – I’m reading Deep Roots at this very moment! love the series. Oh, I so want to go to Worlcon in Ireland! Given that it’s a year away, I might be able to save up enough to do it. Sometimes, these days, I just want to yell “everybody stay calm! The ship’s not actually on fire!”, but I know it’d be a pointless exercise. Well, in the SF/F world, one can generally wait for the fuss to die down. Ah yes, like the province of Ontario. I don’t know if you would’ve noticed a couple of years ago when the city of Toronto became a worldwide laughingstock for electing a drunken, cocaine-snorting bigot called Rob Ford as Mayor. We used to refer to him as “the two-headed Mayor” since most of his ideas, such as they were, were dictated to him by his brother Doug. Rob Ford might still be our Mayor if he had not been diagnosed a couple of weeks into his re-election campaign with an advanced and viciously aggressive form of cancer. He left the race and died some months later. Sentimentality in some quarters about Rob was not enough to get Doug elected Mayor in his place. However, after a truly horrifying leadership race for the provincial Conservative party, and an absolutely Trump-like election campaign, Doug Ford is now the Premier of Ontario. In his first month he has fired every scientist connected with the provincial government (one of them might mention that climate change is real), repealed or cut every initiative designed to prevent further environmental degradation, started a court case against the federal government for promising to implement a carbon tax in any province that doesn’t have its own, is planning in the next month to shred the social assistance system, and is currently taking his revenge on Toronto by completely reorganizing its municipal structure in the middle of a local election. Members of his government have stated outright that this is designed to reduce the influence of progressive politicians on city Council. The Irish had a word for this I believe – gerrymandering? These are only the first few segments beneath decks, with the fire already jumping down the length of the ship. I do hope that you make it to Ireland!